Saturday marked national trails day and Montanans couldn't have asked for better weather, races, or events to celebrate these pathways that add such richness to our lives. 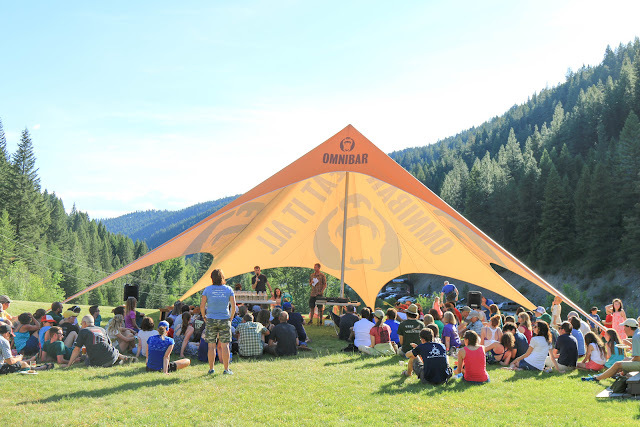 From trail work events, to races, and even a great big party there was plenty of good times to be had this weekend. It also served as yet another kickoff to Montana's summer racing season which promises to be action packed through Labor Day. Pengelly Double Dip: Minnesota transplant Henry Reich scored his first big win as a Montanan after second place finishes at Don't Fence Me In and the Missoula Mile. He led every single step of the race, including the the step where it mattered most. Henry is a big supporter of MTC. He comes to group runs every week, pushes the pace on our tempo runs, and volunteers for trail work. It's great to see him throw down a strong first "mountain run." I'm not sure what the rest of his season holds, but expect to see him battling some of the world's best come September at the Rut 25K. Nicole Hunt, meanwhile, continues her stellar season by notching another course record (just two weeks after she got the course record at 11 Miles to Paradise). She heads to Wulfman's in two weeks where she'll most certainly be favored to win. Full Missoulian story here. #1. Nicole Hunt absolutely crushed it. 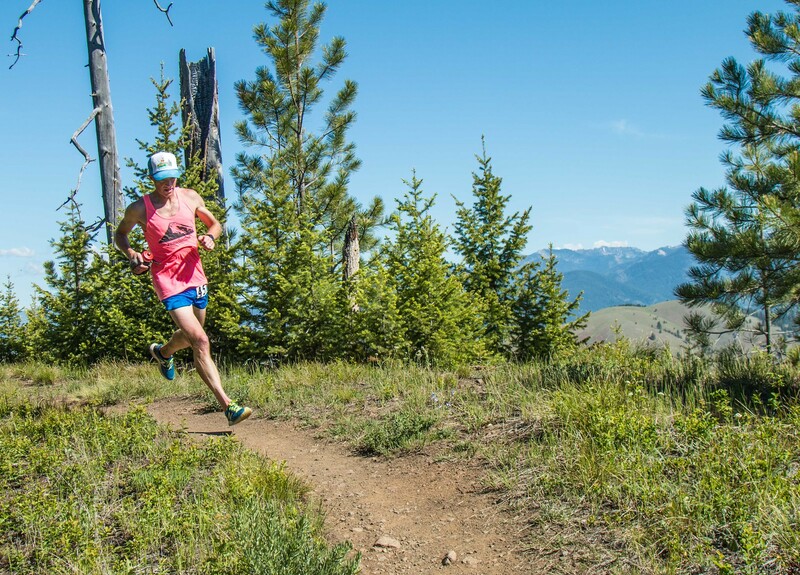 Nicole is 45 and appears to be in U.S. Mountain Running Team-caliber form. She fought for every last second and collapsed at the line with a new course record in the books. The guts she shows in racing is pure inspiration. But she also seems to be the happiest person on the course. But giving Nicole a run for her money in that department was the runner-up in the race, Ella Degrandpre. Ella is 14. She's an eighth grader. Despite a 31-year age gap between Nicole and Ella, they both really like to smile when they run. High fives? You bethcha! Ella had good reason to smile too. 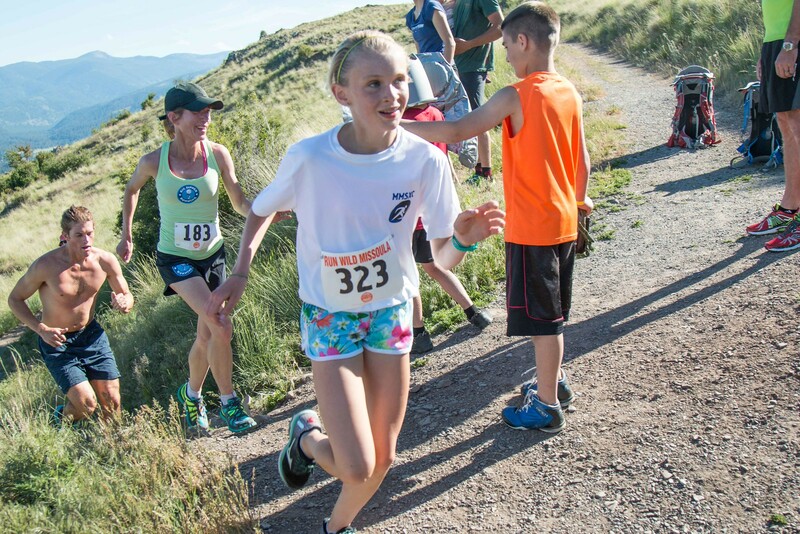 I first mentioned her running abilities in the weekly news here when she was quoted in the Missoulian as saying "I really like running up mountains and getting up to the top, like running Mount Sentinel." Evidently having fun works. Ella's time, on a not quite ideal day, is the 3rd fastest ever in the Double Dip. It's nearly 6 minutes faster than last year's winning time. Amazing. #2 Seth Swanson is a machine. MTC's trail work guru displayed incredible fitness on Saturday that set him apart from the rest of the field. After warming up with a 3500' half marathon he nearly pulled out the win finishing only seconds behind race winner Henry Reich. Considering Seth is 3 weeks out from Western States 100 it's also easy to assume that he was in the midst of a massive training week. Hopefully Seth will give the Double Dip his sole focus sometime and we can not only see the course record go down, but see him bust the 1:30 barrier. But until that day comes, we can look forward to following along at Western States and cheering for Seth as he looks to improve on his 2014 second place finish. Sunday marked the 4th annual Herron Half. This trail race at Foy's Lake just outside of Kalispell features nearly 2,000 feet of climbing on what appears to be a mostly singletrack course. If any readers have a race report we'd love to hear from you. Marshall Mountain Trail Festival: Thanks to everyone who stopped by to say hello at the Marshall Mountain Trail Festival. We got quite a few people signed up for our newsletter (if you haven't done so, sign up at the link at the bottom of our page). A special thanks to Runners Edge for putting on a great event and supporting the running community and local non-profits like ours.We appreciate it! Pengelly Double Dip Facebook Album: If you enjoy the photos on this post and want to see a whole bunch more head over to our Facebook page and see Myke Hermsmeyer's album. Myke covered nearly as much ground as the runners themselves to capture these stunning images all over the mountain. Thanks for sharing Myke! From Kam Kidrick and the MTC Prairie Faction: National Trails Day proved a huge success in the Great Falls area with runners coming together to work on a couple of projects Saturday and Sunday as well. Saturday we helped cut in new trail near Ryan Dam on the North Shore. Sunday we cut new trail and enhanced old trail in an interpretive area around Crooked Falls, near Rainbow Dam on the North Shore. Elsewhere runners made it into the Highwood Mountains and the CTD near Rogers Pass. Our current heat wave is wreaking havoc on the snowpack, leaving only the most persistent drifts in the Little Belts and the high country along the Rocky Mountain Front. Mountain Monday: It's going to be a hot one, but we'll run up Sentinel anyway. Group run meets at noon today at the trout statues at Caras Park. Henry Reich will be setting the pace! 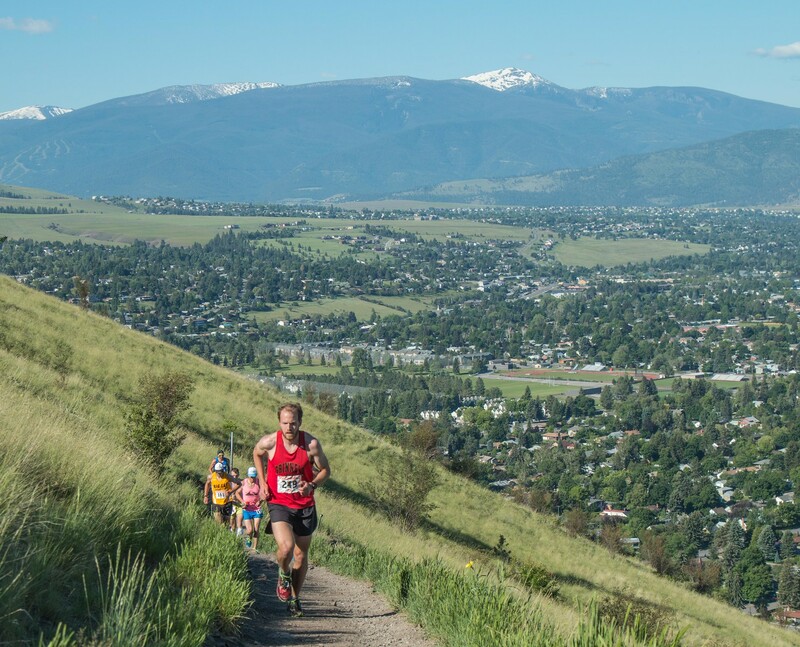 The Governor's Cup and 10 Spoon 10K are happening next weekend, but little is going on in the way of trail running. It's a calm before the storm of sorts, because the weekend of June 20th will likely be the biggest trail running weekend of the summer. If you don't have a race picked out for the 20th yet, there is still time. Most of the biggies are full (Big Horn, Old Gabe, Wulfman's) but others with larger fields and more events are likely to have space such as the Trail Rail Run or Pony Trot. So get after it! Upcoming Features: Check back over the next couple of days for this Month's Trail Chat with Nicole Hunt. Nicole interviews Bozeman speedster Corrine Malcom.